This stunning silver teapot was part of a series of design variations on bird forms and the title references how a sound changes as it echoes. The vessel was based on the shape of a bird’s body and the spout a beak. 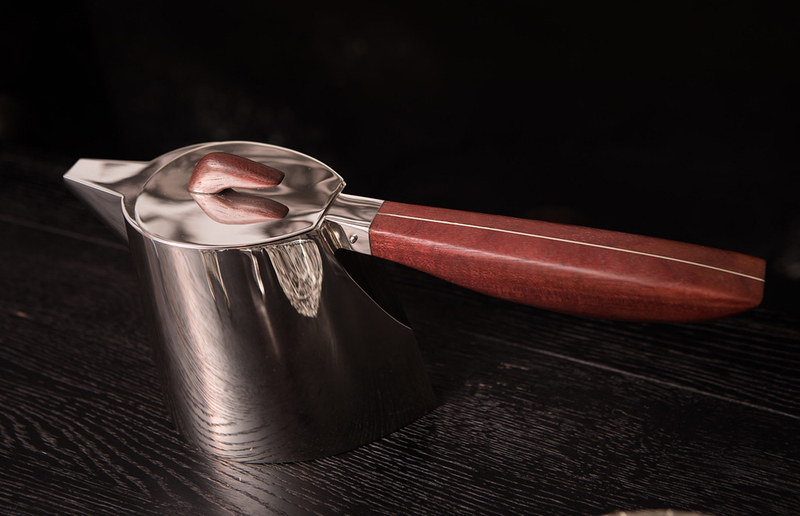 The handle of the teapot was created from purple-heart wood laminated with sheet silver for strength. 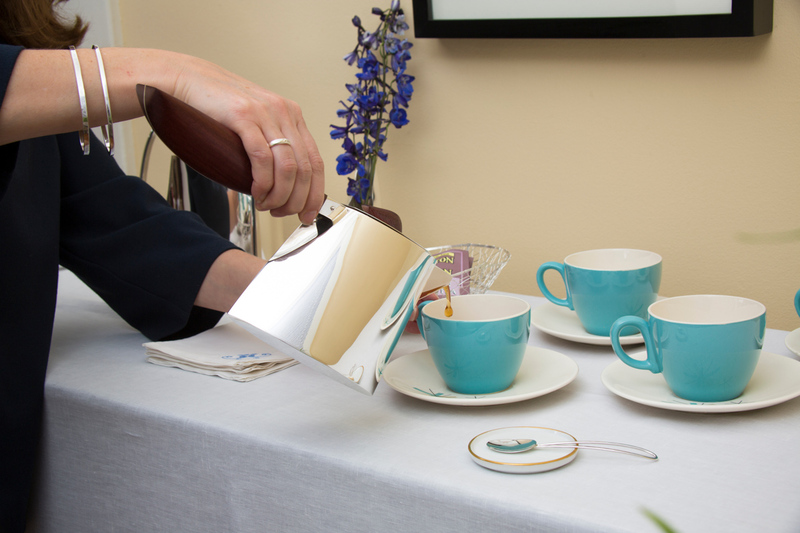 The silver lid snaps into the top opening of the teapot and has a purple heart finial on top. This original, handcrafted teapot has been featured in Charleston Weddings and Traditional Home magazines and on the tv show Handcrafted America. Additionally, it has been shown in exclusive, competitive exhibitions, such as Architectural Digest Home Design Show in NYC and Philadelphia Museum of Art Craft Show.